It can be a long, long slog to hit success. Determination is an absolute necessity to be an entrepreneur. Those who play it safe only get to say ‘me too..’. To be entrepreneurial, you’ve gotta take risks. They shouldn’t be reckless ones, but brave ones. Who in my opinion is the greatest risk taker of all? I’d say Elon Musk. 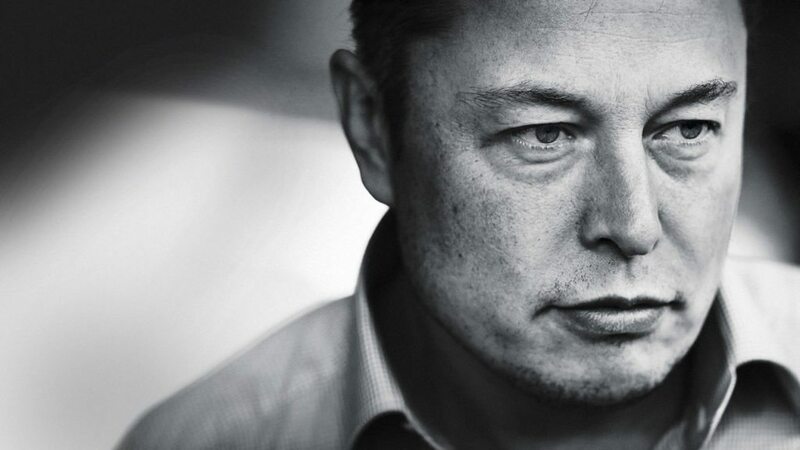 He took a massive risk taking on the established automotive giants with Tesla, but his risk was calculated because he had ground-breaking batter technology that was set to undermine the incumbents. He took on a huge risk taking on NASA. He will continue to take on more industry giants, I have no doubt. The entrepreneur can’t go it alone. At some point, they need to take people with them. Not just the folks who are employees of the business – I really mean the money-people. To persuade bright and often ruthless people to part with their cash to invest, the entrepreneur must exude and propel confidence and be unshaken by the tough questions or daunting situations they find themselves in. Ideas don’t just pop into people’s heads. It might seem like they do, but it’s almost always as a result of curiosity and inquisitiveness. The mind is a great toolbox for formulating, processing and sifting thoughts into ‘what if…’. Entrepreneurs do this like a boss. … salespeople and marketers, all the time. Successful entrepreneurs must win people over to their ideas, even when they’re not directly sales targets. They’re great listeners, brilliant spokespersons, and awesome at promotion without being overt about it. If an entrepreneur isn’t on the money about how their product makes an impact on customers, how will people know the product is for them? … passionate about what they do, and what others do. Passion makes hard work seem like a hobby. The inner drive, because I really want this, is what keeps the energy levels up, without trying. Without question. Passion creates a sense of urgency and is the fuel under determination. Passion not just for their own causes, but the causes of others. Making an impact on the world, not just the bank balance, is a clear character differential for entrepreneurs. … competent at managing money, time and resources well. Especially in the early days, it’s all hands to the pump and every cent must be stretched. Resource management has to be a skill entrepreneurs possess. But it’s not just in the early days. This discipline must carry throughout business, even when the palatial offices are the new home. Every financial decision has to further the entrepreneurs mission. Succumb to avarice or vanity, and the money is spent in the wrong place. Same goes for time and other resources. Entrepreneurs quickly prune off projects that are time-sinks. … flexible and responsive to changing situations. The best laid plans go to s**t. No plan ever stands the test of first engagement. So entrepreneurs have a plan-b, and a plan-c and plan-d… Adaptability to the prevailing wind is a critical characteristic, because the world is an unpredictable place and new threats, issues and opportunities arise every single second of every single day. It’s the entrepreneurs that bend and sway in the wind that come out on top. … effective at building strong connections and networks. Entrepreneurs know entrepreneurs. You must have heard the saying It’s not what you know, but who you know. And I also like to add It’s who know you. Allied to the above point, opportunities come from all quarters, when other rainmakers know who you are and what you can offer. You don’t think Elon Musk got where he has without being in social groups with other entrepreneurs?